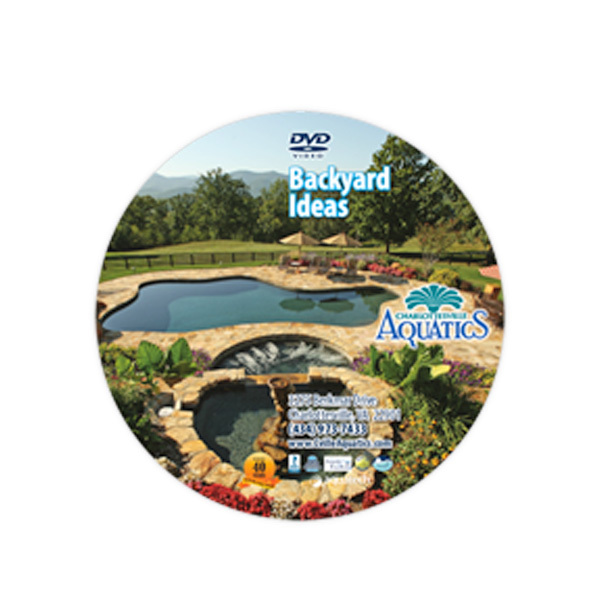 If you’re looking for ideas for your backyard / swimming pool, then you definitely want to get your hands on this DVD. It’s loaded with photos and videos of all kinds of different swimming pools, spas, and custom water features. We’ll ship this to you via Priority One mail, so you’ll get it in just a few days. To get your free DVD, just call us at (434) 973-7433, or use the form on this page to request a consultation from one of our expert pool designers. (And don’t worry – we won’t “SPAM” you or give your contact information to anyone else. We hate that stuff as much as you do).